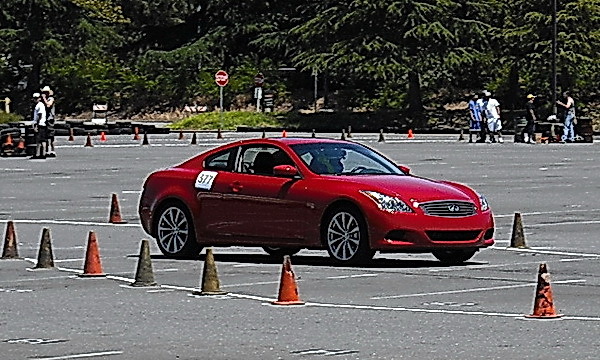 Every year at the college where I work the auto-tech program hosts an autocross, the “Dual at De Anza.” For years I’ve contemplated entering the event, but either lacked the courage or the right car to do so. When I heard that CarReview.com would be testing a 2008 Infiniti G37 on the weekend of this year’s race, I gave Derek a call and with his blessing entered both of us. 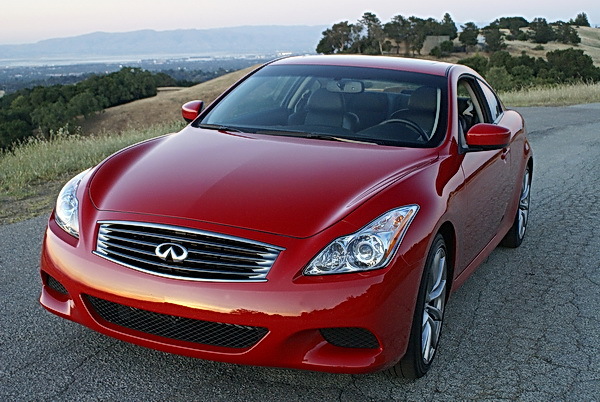 As far as luxury sports coupes go, the Infiniti G37 is a fine example of how impressive this class of automobiles has become. Combining the refinement of the finest luxury sedans with some serious horsepower and handling prowess, the G37 feels most at home cruising down the highway at a high rate of speed. Would this large coupe have the right balance of power and cornering agility for the tight confines of an autocross course? We would soon find out. From my first moment sitting inside the G37, the thought “what a luxurious, well-mannered, yet ferocious car!” flashed through my mind. Stand on the throttle and there’s plenty of power to rocket the car forward. Almost too much, especially through tight corners. “Better leave the traction control on,” I mused, after feeling the computer cut off the fuel during a sharp turn taken at full throttle. As much fun as wagging the rear end out is for driver and spectator alike, my main goal was to stay on the course and finish. Despite the G37’s sleek, low-slung design, this car is no lightweight, tipping the scales at over 3,700 lbs. Anyone looking for Mazda Miata-like reflexes better look elsewhere. With low profile 19 inch Bridgestone Potenzas at each corner, there is an impressive amount of grip available, but these are street tires and one look around the parking lot showed an awful lot of racing rubber, with nary a tread pattern in sight. 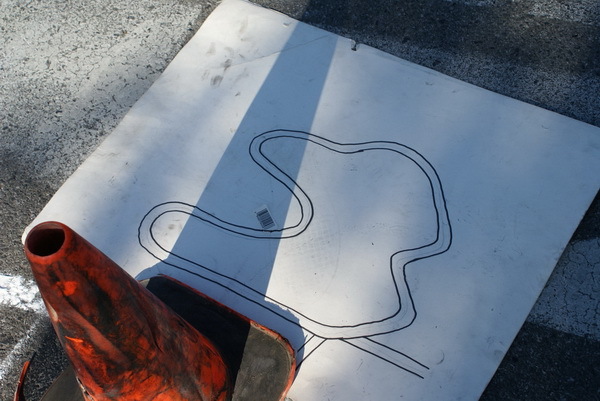 When all was said and done, I met my goal and made it around the course without touching any cones. My time of 60 seconds wasn’t anything special, but held up for 3rd place in the F stock class. Much of the competition let their right foot get the best of them and spectacular spinouts happened quite frequently. Derek, on the other hand, held a clinic in how to muscle a car around the course. With tires squealing and rear end fishtailing, he managed to knock a full 5 seconds off of my time. His class leading 55 seconds was even competitive with much smaller and faster cars. Bravo, Derek!